For me, beauty is not just about the face and body; it’s about the home too. 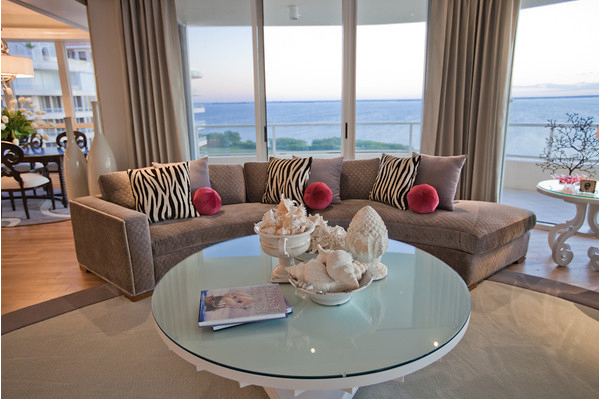 In 2011 we purchased a condo in Sarasota, Florida that was in serious need of a total decorating make-over. Our realtor introduced us to Catherine Kerr, a multi-talented, award winning decorator who as it turns out was also a dream to work with. In addition to the gorgeous colors and fabulous art she chose, Catherine even unpacked our moving boxes, put everything away, and hung up all the clothes. And if that wasn’t enough, she also stocked our fridge with food and yummy snacks for our arrival. Three years later we came to the conclusion that condo living just wasn’t for us. We needed a house. Well, because of how the condo showed (due to Catherine’s dynamite decor) we had two offers before it was even listed! Upon completing the house, and putting the finishing touches of beautiful art on the walls and shelves, the next task we requested of her was planning our housewarming party. Yes, it’s true she does that too. As an event coordinator, Catherine is par excellence! She did it all, from start to finish. She arranged for a top notch chef, exceptional food, and professional servers. The fare was unique and delicious, and the party was a smash. We aren’t planning any more moves for a long time, but I simply had to give my kudos to Catherine and Catherine Kerr Interiors. She helped fill both of our homes with heART. Maybe she can fill yours too?